The full drum sheet music for “Should I Stay Or Should I Go” by The Clash from the album Combat Rock (1982). “Should I Stay or Should I Go” became The Clash’s first-and-only, number-one single on the UK Singles Chart a decade after its release in 1982. The song is based on a 12-bar blues form and uses a simple rock beat throughout the verses. 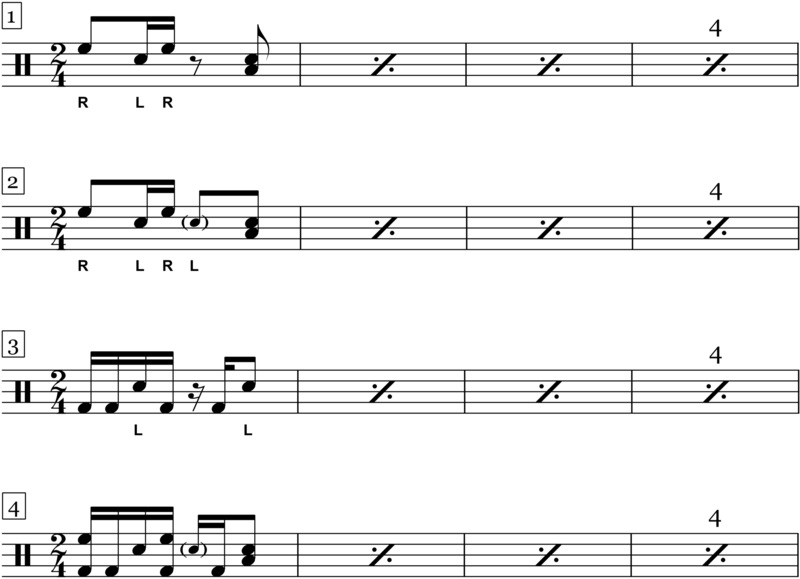 The choruses feature a swinging double-time feel, as well as a distinctive tom-based groove, which has been broken down into four simple steps (below) to assist with learning the pattern. Right hand plays the toms, left hand plays the snare. Add a ghost note on beat 2. Bass drum rhythm with snare. Optionally, add the hi-hat w/foot on the quarter-notes like Topper Headon does. 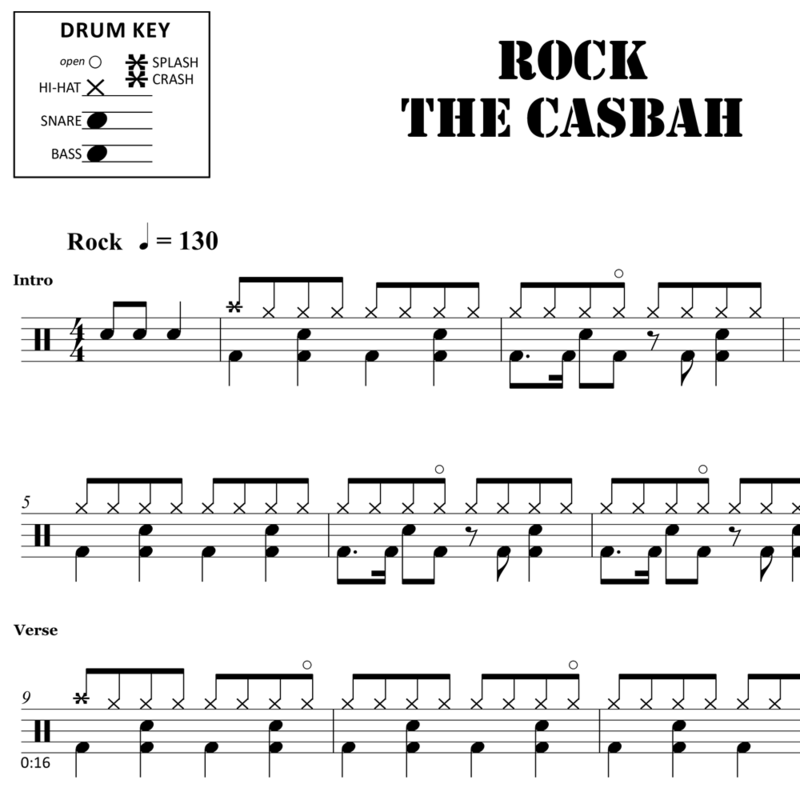 The full drum sheet music for "Rock The Casbah" by The Clash from the album Combat Rock (1982, Remastered).